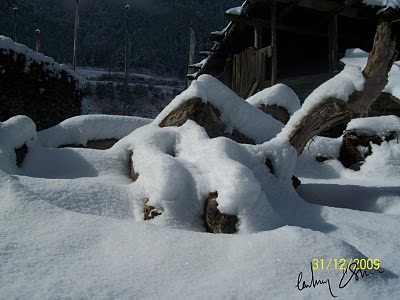 Snowfall in Yangthang has always been a big inspiration. 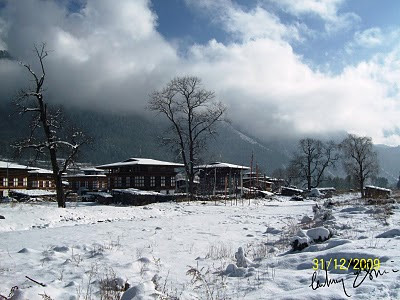 I completed a collection of short story under the title 'Snowfall in Yangthang'. 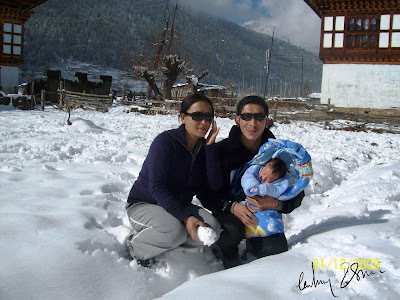 I always wanted a photograph for my cover page; thanks to the New Year eve snowfall and my presence in my village, now I have the best picture for my cover page. The picture is beautiful.Congratulations, though belated. Somewhere I said that the girl is the mother. It is the girl who will keep the world going. Perhaps, I was talking about educating the girl. As a teacher and father of a little girl, you would perhaps agree with me. I have three girls (including my grand daughter.) They are close to my heart. Without them, we won't here.We wouldn't know many beautiful things in life. At the same time....they also wear out your patience. That perhaps is mutual. Ask your wife, she would have a lot to say on that. 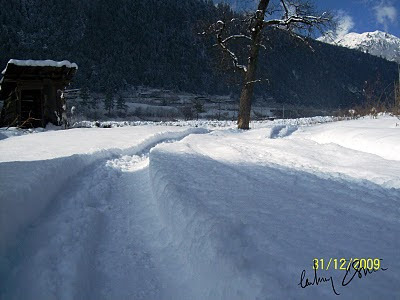 Good to see the snow in Bhutan , and i wish i was riding now and not in september. 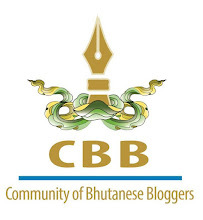 Its nice to follow your blog.